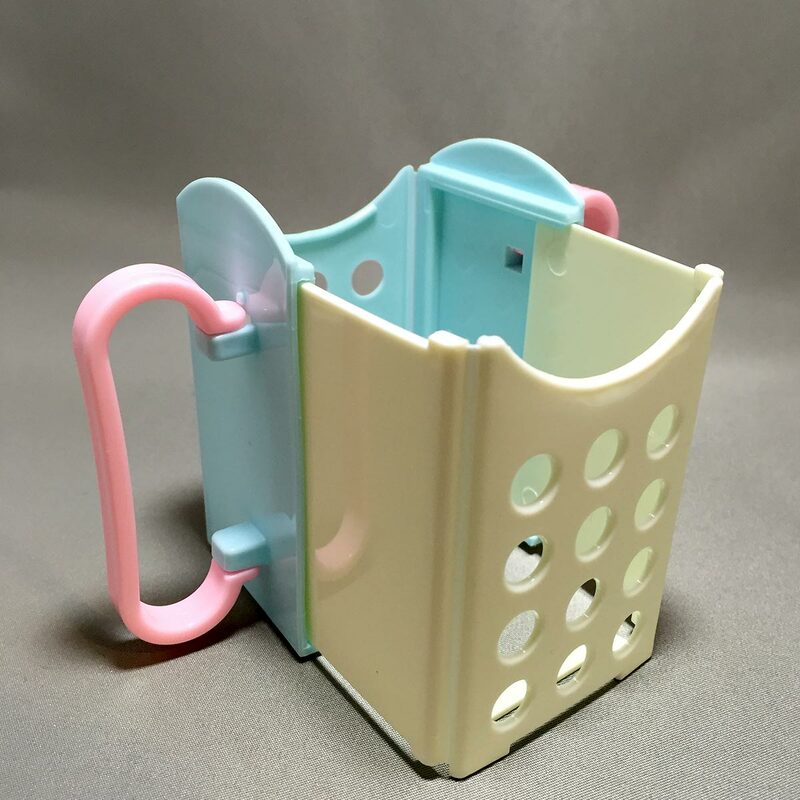 This convenient folding drink box holder is an adjustable milk or juice carton/box holder for babies and small children. When small children drink from juice cartons, they often squeeze too hard resulting in the contents squirting out of the straw. 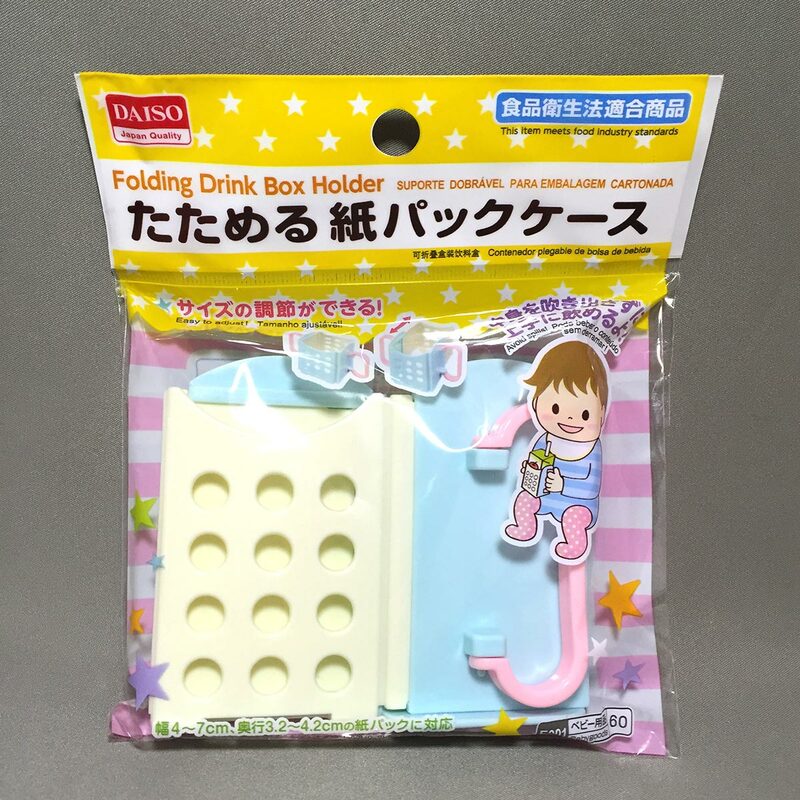 The Folding Drink Box Holder from Daiso solves this spilling problem. 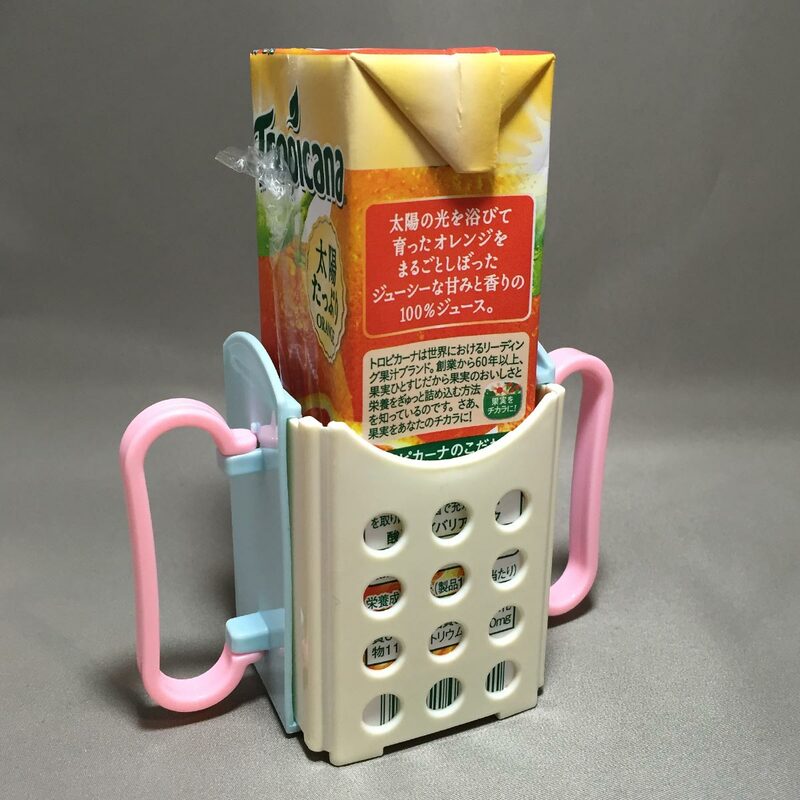 By placing the juice carton into the holder, the small child can now hold onto the handles on both sides of the drink box holder. No more messy drink spills and less cleaning for mum and dad! 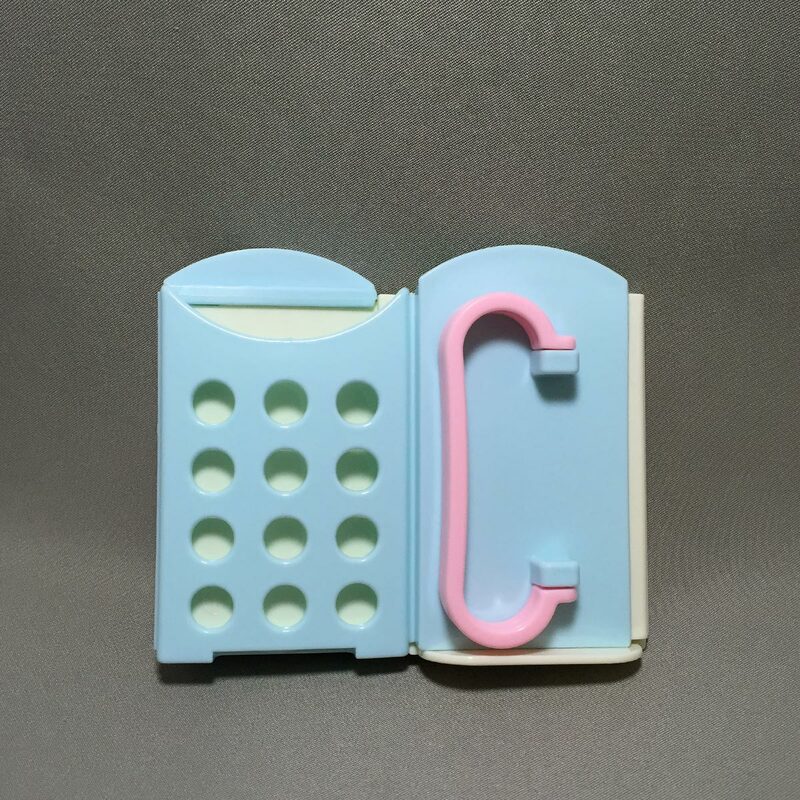 The holder is designed to fold flat to a thickness of 2cm, making it very compact and easy to store to carry around. – The drink box holder meets food industry standards. 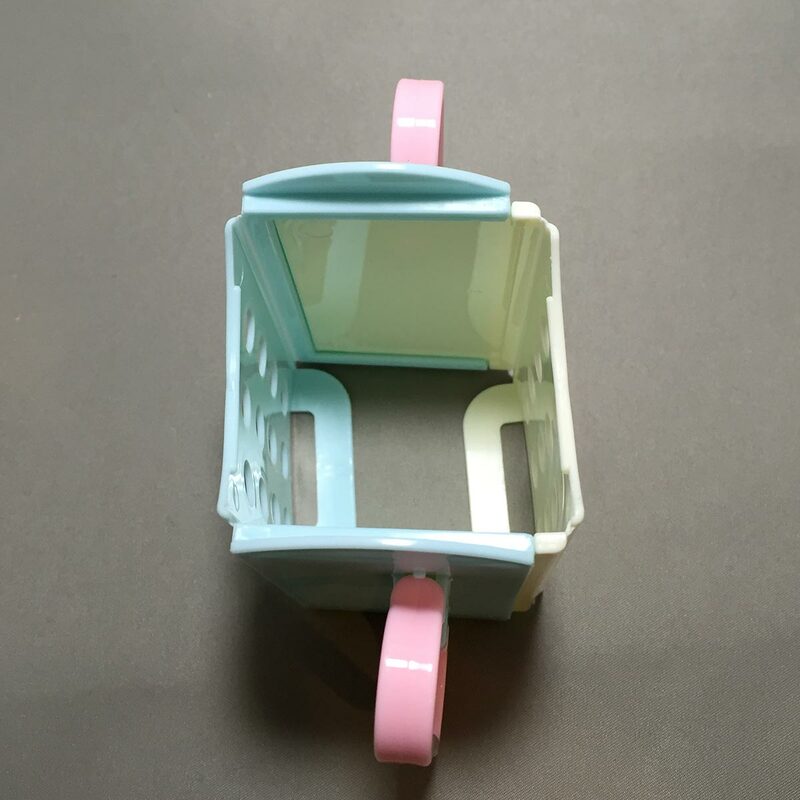 – The holder can be adjusted to fit juice cartons sizes ranging from 4 to 7 cm (1.57 to 2.76 inches) wide, and 3.2 to 4.2 cm (1.26 to 1.65 inches) deep. 1. Lift up both flaps on the base to unlock, and pull apart to unfold the holder. 2. Adjust the depth of the holder to fit the size of the juice carton. 3. Flip out the handles for your child to hold onto. Let them enjoy their drink. 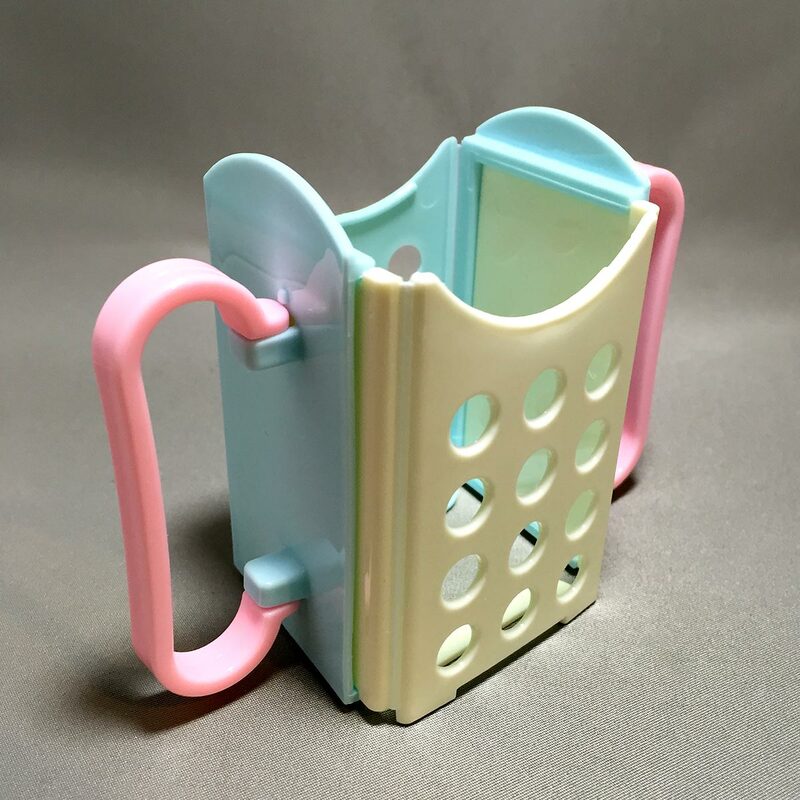 – Store the drink box holder out of your child’s reach. 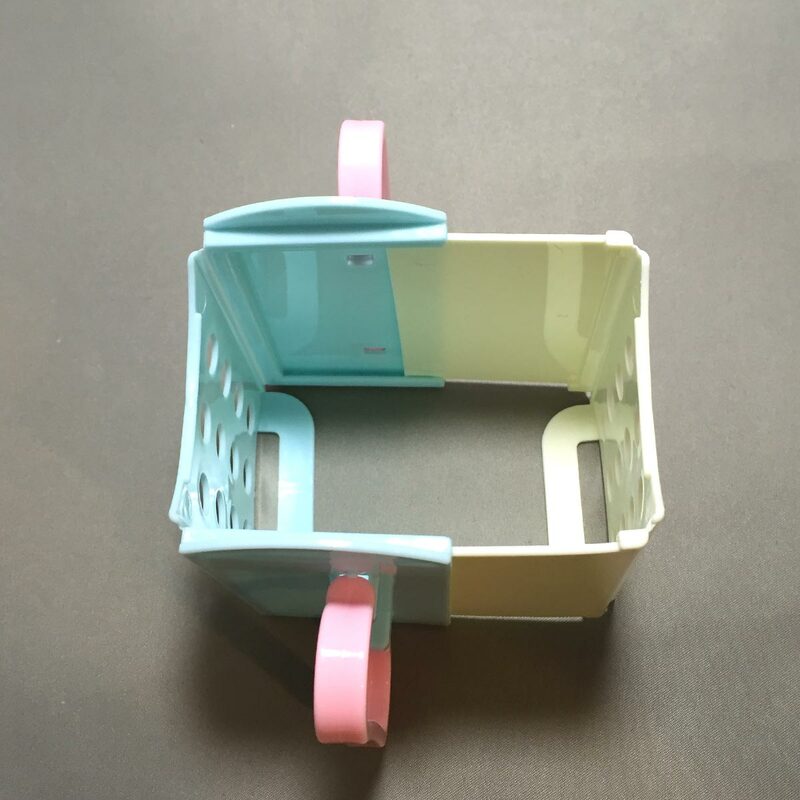 – The drink box holder may not fit all juice carton sizes. – Care must be taken when folding and unfolding the drink box holder to prevent finger entrapment. – Dropping or hitting product against other objects may cause damage to the drink box holder. 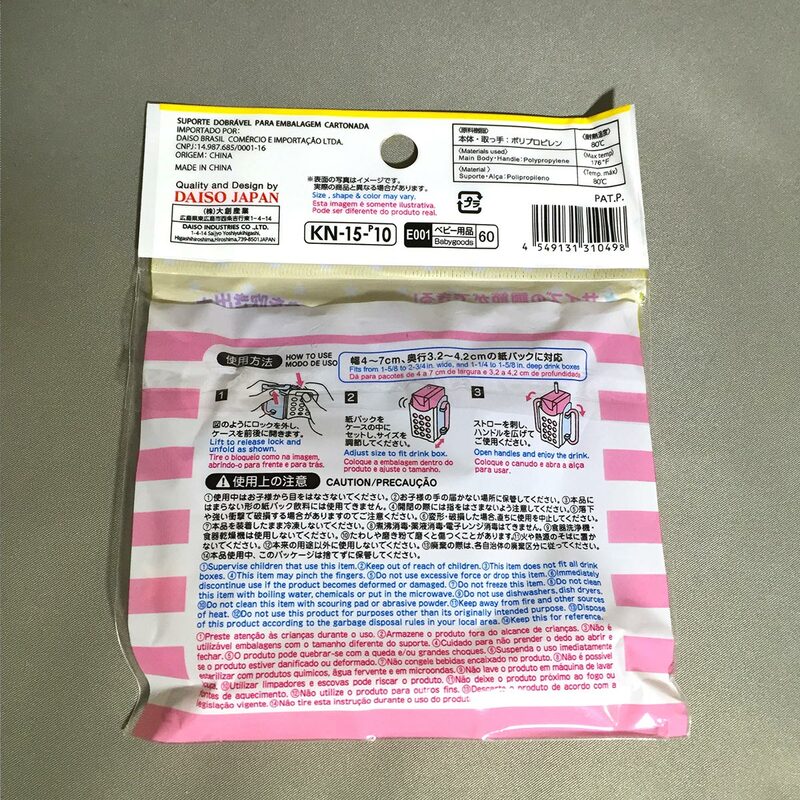 – Do not use if there are any damage or deformation to the product. – Do not use scourer or scouring powder on the drink box holder. 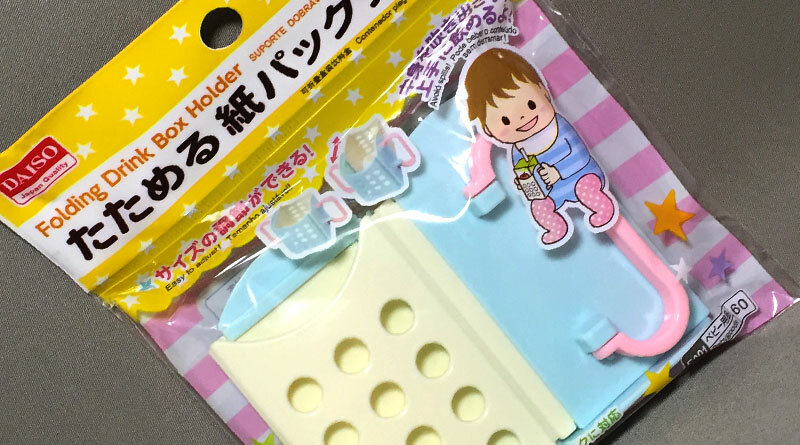 This folding drink box holder is a must-have for parents. The holder is very sturdy, and the handles are not easily detached from the holder. 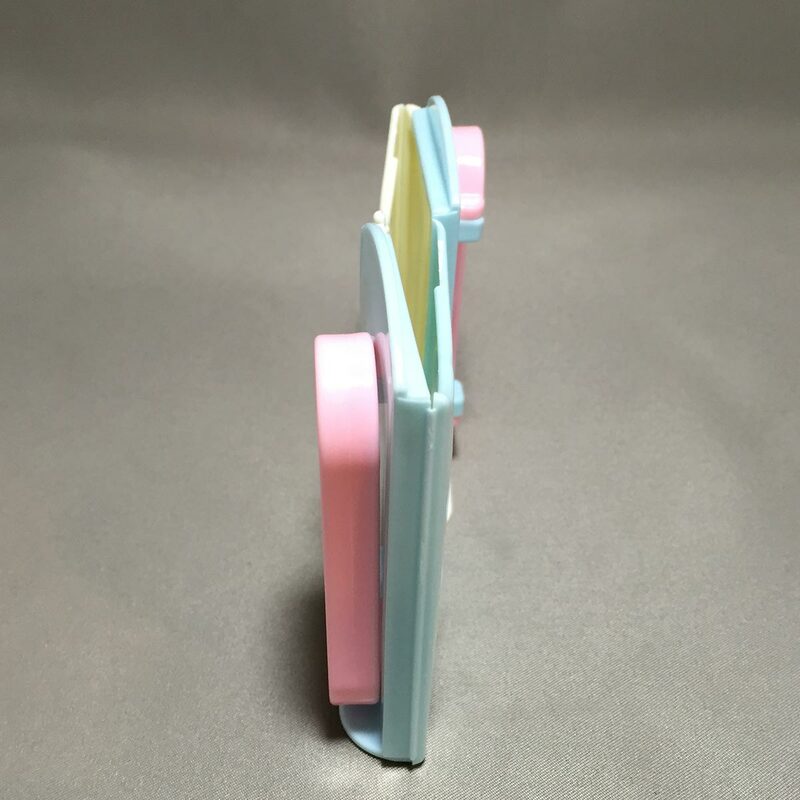 When folded flat, the holder is easy to store and carry when you go out with your child. My son is not ready yet for juices, but when he is, I will make sure we have the holder around.